It was a sad year for the Golden Globes, the year in which the Awards Ceremony and its glorious party didn't happen. The 65th Golden Globe Awards were scheduled to be presented on January 13, 2008, but due to the Writers Guild strike, the show could not be broadcast. In solidarity, the Screen Actors Guild announced they would not cross the picket line. The HFPA attempted to reach an interim agreement with the WGA to allow its members to write for the ceremony, to no avail. Therefore, as then HFPA president, Jorge Camara, recalls, “without any actors attending, nominees nor presenters, NBC, dcp, and the Hollywood Foreign Press Association decided to announce the awards without the regular ceremony.” The winners were announced at a news conference and the awards were given out anyway: director's Joe Wright's Atonement, based on Ian McEwan's acclaimed novel, won two Golden Globes, for Best Picture, Drama, and Best Original Score, by Italian composer Dario Marianelli. 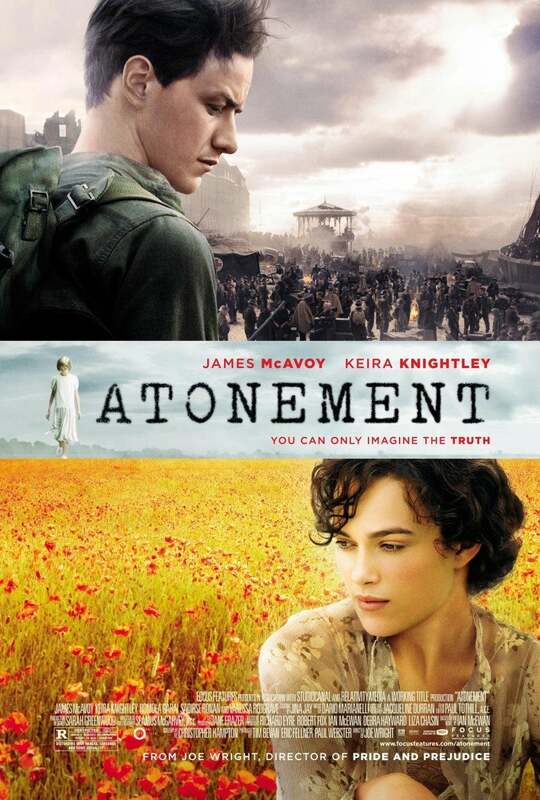 Atonement, starring Keira Knightley and James McAvoy, tells the story of 13-year-old Briony Tallis (Saoirse Ronan), an aspiring writer full of imagination, who changes the course of several lives when she accuses her older sister's lover of a crime he did not commit. The other dramas nominated at the Golden Globes were Eastern Promises, The Great Debaters, Michael Clayton, No Country for Old Men, There Will Be Blood and American Gangster. Keira Knightley was nominated for Best Actress, but Julie Christie won for Away from Her. James McAvoy also was nominated, but Daniel Day-Lewis won for There Will Be Blood. The film's revelation, young American-Irish actress Saoirse Ronan, was nominated for Best Supporting Actress, but Cate Blanchett won for I'm Not There. Ronan was only 12-years-old when the film began shooting and turned 13 by the time she received her first Globe as well as Oscar nomination. Julian Schnabel won as director for The Diving Bell and the Butterfly. Critic Roger Ebert gave the film a four-star review, dubbing it "one of the year's best films," adding that Knightley gave "one of her best performances". It was a serious film and sobering story, and yet everyone agreed that Atonement was not less deserving of a real party at the Globes.